2015 NT Thunder premiership player, Talbot is known around the club for his leadership and hardworking attitude, as well as his infectious laughter, and is an important clubman for NT Thunder. The versatile utility can play any position on the ground. 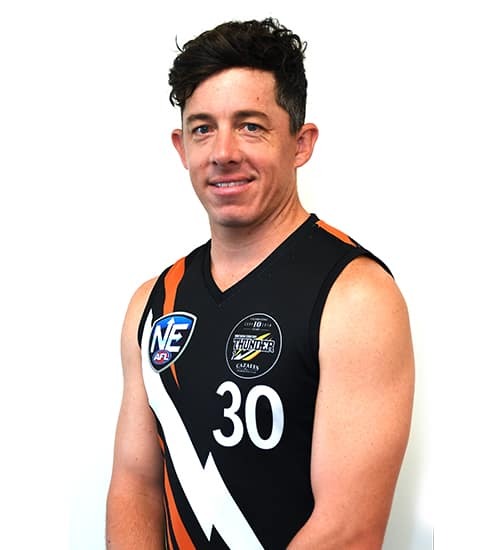 Having now played over 50 NEAFL games for NT Thunder, Talbot plays for the Palmerston Football Club in the NTFL and is originally from the Morphettville Park Football Club in the Southern Football League in South Australia.